...and according to official records is known only from the rio dos Marmelos, an affluent in the rio Madeira basin in Amazonas state, western Brazil. 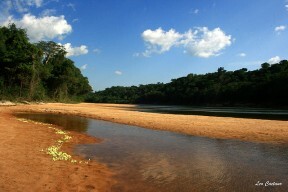 Specimens collected from the rio dos Marmelos near the municipality of Humaitá, Amazonas state, Brazil. isalineae: named for Mrs. Isaline Drecq, wife of Mr. Guy van den Bossche, a participant in the expedition on which the species was discovered. The type series was collected from ‘tributary of Rio dos Marmelos, Rio Madeira basin, 110 kilometers east of Humaitá along rodovia Transamazônica, Amazonas State, Brazil’ in the western Brazilian Amazon, and most official records pertain only to this locality although the species may be more widely-distributed within the Madeira system. 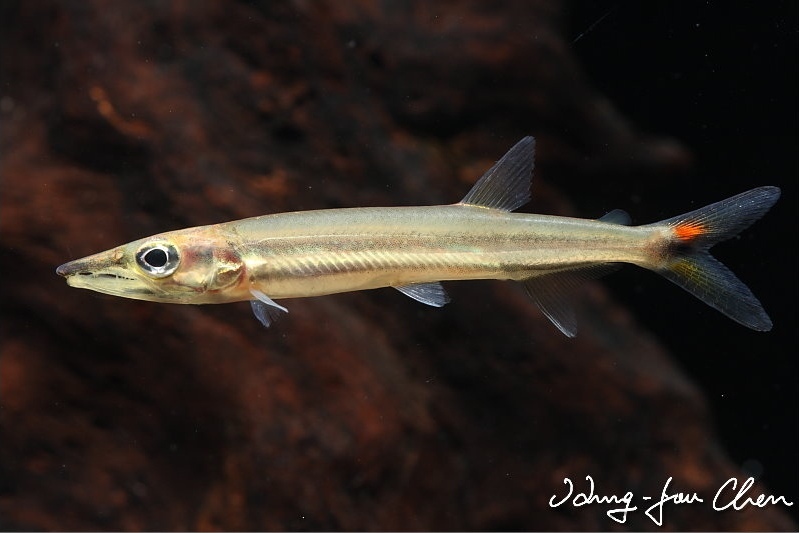 Acestrorhynchids are typically very active and extremely fast swimmers so minimum base dimensions in the region of 120 ∗ 45 cm are required even for a smaller species such as this. The aquarium should ideally be designed to resemble a flowing stream or river with a substrate of variably-sized rocks, sand, fine gravel, and some larger water-worn boulders. This can be further furnished with driftwood roots and branches if you wish but be sure to leave plenty of open swimming space. This species is a member of the putative ‘A. nasutus group’ of closely-related species within the genus alongside A. nasutus, A. maculipinna and A. isalineae. 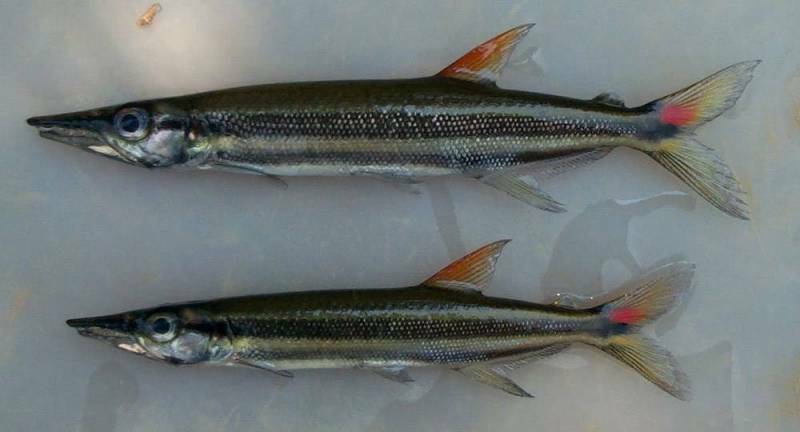 These are all characterised by possession of two dark, longitudinal stripes, one running from the tip of the snout to the caudal-fin base and the other from the posterior edge of the lower maxilla to the underside of the caudal peduncle. Similar patterning is present in juvenile specimens of A. falcirostris although it’s clearly distinguishable by adult size with the other three species tending to grow no larger than 100 mm SL and retaining the body stripes into adulthood. Not assignable to any group: A. heterolepis.